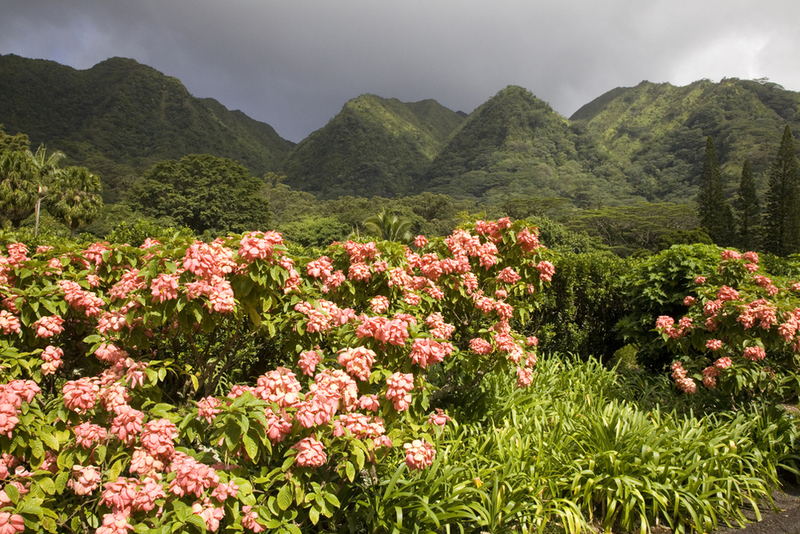 The Harold L. Lyon Arboretum in Oahu is 200 acres of tropical rainforest located in Manoa Valley. Although it’s located right near the popular Manoa Falls, it’s actually off the radar to most tourists. We suggest you take time to marvel at the splendor of its gardens, which have been a work in progress for over 100 years. Here are five reasons why you don’t want to skip a visit this hidden gem in Oahu. Visitors to the arboretum will be amazed to reach such dense botanical gardens just 5 miles from the bustling streets of Waikiki. If you’re traveling by car from Aston Waikiki Beach Hotel, simply head toward University Avenue via Kapahulu Avenue and drive northeast on Manoa Road. Parking is free to visitors. The arboretum is located at 3860 Manoa Rd., Honolulu. If you’re using public transit, take the #5 bus into Manoa Valley and get off at the last stop. The arboretum is past Paradise Park, about a half-mile walk up. See directions. They're open Mon-Fri 8-4pm; Saturday 9-3pm. Traveling with younger ones can bring its share of challenges, but a visit to the arboretum is calming for both children and adults. The Children’s Garden at the arboretum is a hands-on garden for kids that encourages exploration, and the arboretum trails make way for movement and activity. The arboretum puts special emphasis on endemic plant species, many of which are endangered. Created in 1918 as a means to restore a depleted watershed and aid in reforestation, the arboretum today has a special program that focuses on native plant propagation. As a visitor, you can see blooms of the Red Ohia Lehua, which once dressed the mountains of Oahu in red, or the fanned palms of the Loulu Palm. While not as popular or big as the neighboring Manoa Falls, Aihualama Falls have the advantage of being less crowded and very peaceful. Seeking that quiet walk in nature you dreamed about back home? Take a leisurely walk to the falls, just 25 minutes from the gardens. See map. Also check out the abandoned seismograph station, listed as “currently haunted” on the arboretum map. The arboretum is not only vital to the University of Hawaii system-wide, but it also serves as a cultural and scientific resource to the world at large. Admission is free, but a suggested donation of $5 goes toward restoration of native Hawaiian forests. If you haven’t yet booked your hotel stay, consider Aston Waikiki Beach Hotel, centrally-located to all the activity in Waikiki. With sweeping views of Kuhio Beach, it’s just walking distance from major shopping centers and offers excellent onsite amenities. Check out exclusive offers only available on our website. We hope to see you soon!